All ancient cities have some surprise underground. In the case of Paris, the surprise that underlies the city is pretty grim: kilometers of galleries totally covered by human bones, skulls that leave no little gap. 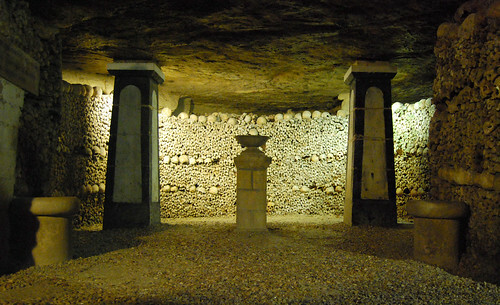 These are the Catacombs of Paris. The Catacombs of Paris are a network of tunnels and caves that run about 300 kilometers under the city. They are the result of material extractions to build the city, extractions that date back to the time of the Roman settlements. Not all the tunnels are part of the catacombs, but Parisians call by this name all the galleries running the underground. 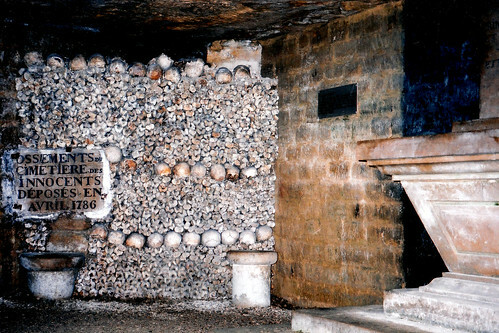 The huge ossuary occupying the catacombs dates back to the eighteenth century. It is at this time that the Parisians will start to have a problem with their cemeteries: the tombs begin to be overcrowded, and also the inadequate treatment of the bodies make these areas unhealthy places. To give us an idea we can think about the “Cimetière des Innocents”. Only this cemetery contained the remains of more than 30 generations of Parisians. The terrain was becoming more expensive and scarce, so the government of the time took a decision to solve the problem: to move the remains of the cemeteries to the ancient quarries of the city, now in the underground. 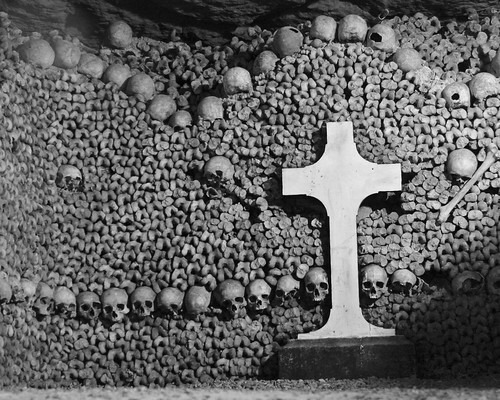 They started to move the bones to the catacombs in 1786, and the works finished in 1860. It is estimated that during those years between 5 and 6 million of skeletons were moved. The bodies were not identified or separated individually, but the bones were labelled with a plaque identifying the cemetery where they came from and the year of the transfer.